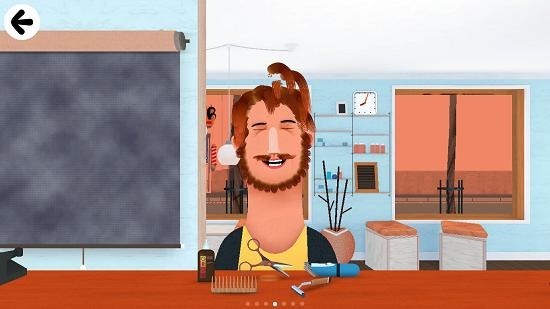 Toca Hair Salon 2 is a free hair styling app for Windows 8 and 8.1 devices which allows you to style hair in the way you like. The app has really cute graphics and allows you to choose the character and the hair type when you run it on your device. In the main screen of the app, you can choose to start the game by simply clicking on the play button at the center of the screen, followed by the character selection screen. Now you’ll be brought to the salon environment where you can use different tools like trimmers, scissors etc. to style the hair. 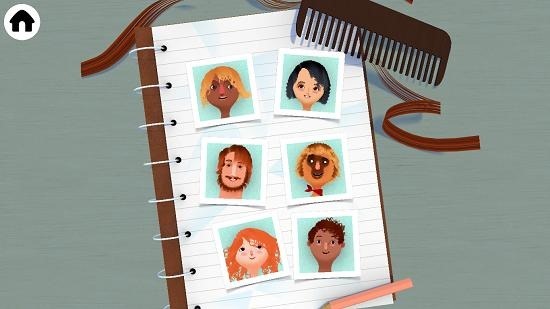 Toca Hair Salon 2 is available for free from the Windows App Store. When you run the game on your device, you will be brought to the following screen of the game. 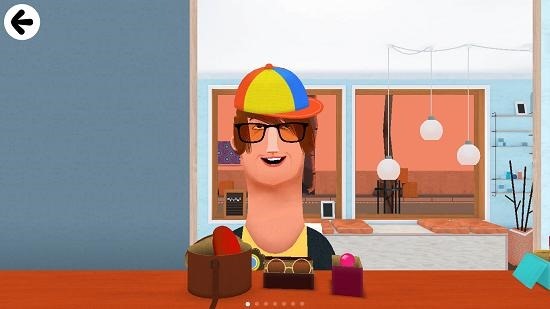 Merely click on the Play button at the center and now you’ll be brought to the below screen wherein you can choose the character whose hair you want to style. This choice can be made by simply clicking on the desired character’s photo. Once chosen, you’ll be brought into the salon environment which you can see in the screenshot below. You can choose the styling tool of your choice from the table by simply clicking on it. Once that has been done, you can style the hair by clicking on the character’s hair. You can not only style hair, but beards and moustaches as well. The below screenshot shows the hair being cut in progress. Once you have completely styled your character, you will see your character with a completely different look. The results will vary, but the below screenshot illustrates the different look. Now you can swipe the screen towards the right or left to access different options like adding accessories etc. You can see that I have added accessories like glasses and cap to the character’s face. This can be done by simply clicking on the accessory on the table and clicking on the character’s face. 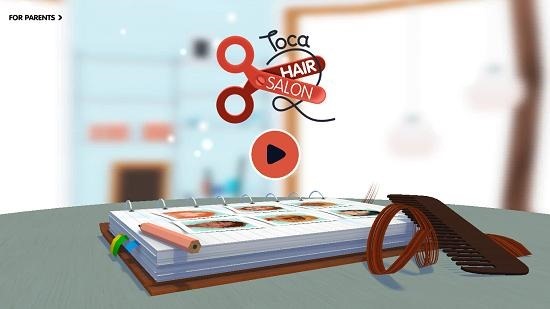 This wraps the main features of Toca Hair Salon 2 for Windows 8 and 8.1 devices. 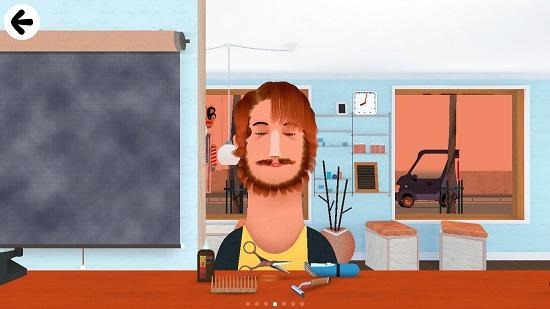 Toca Hair Salon 2 is a well designed game app for Windows 8 and 8.1 to awaken the inner barber fantasy in you and you’ll be able to style hair really well with this app. Feel free to grab it for your device from the link below. 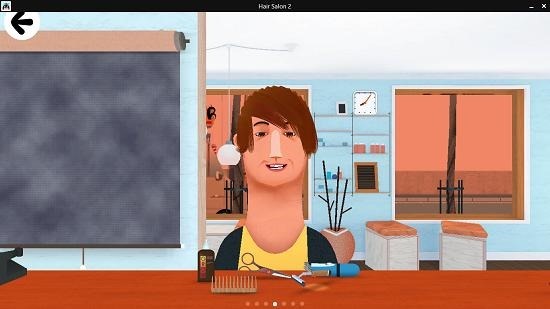 Get Toca Hair Salon 2.